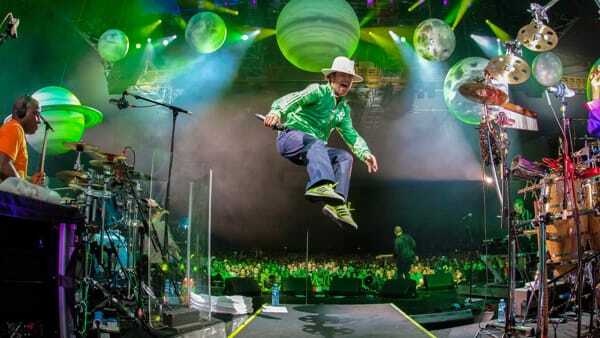 Jamiroquai will release a new album entitled “Automation” in 2017 and a few weeks later he will be on a world tour: from Tokyo to Athens, from Portugal to Finland. On Tuesday July 11, the British band fronted by Jay Kay will be on stage in Florence at the Summer Festival in the Visarno Arena. Jamiroquai released a teaser video on January 16th, 2017 from their 8th studio album Automaton, rumored to be due for release in March 2017. More than 20 hits in the Intl. charts, 25 million CD sold and 18 years of career. In activity from 1991, they got internationally recognized in 1994 with “The return of the Space Cowboy”, but it has been “Travelling Without Moving” (1996) to bring them the world success.